It's not everyday that employees are welcomed by such a sharp, clean and sophisticated representation of their company logo. 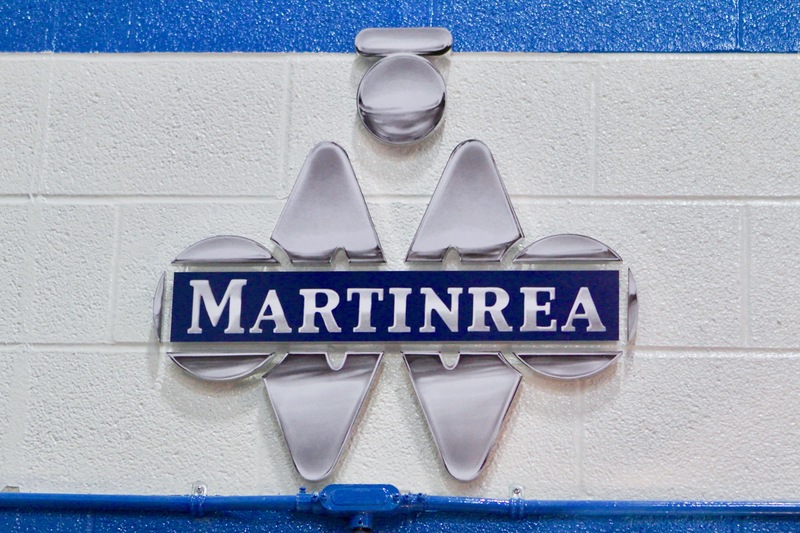 As part of their effort to reinforce their brand presence, we made these custom wall mounted logos for the employee entrance to their automotive part manufacturing plant. The custom signs were installed raised using spacer mounts off a white painted stripe on an otherwise bright blue cement block wall. 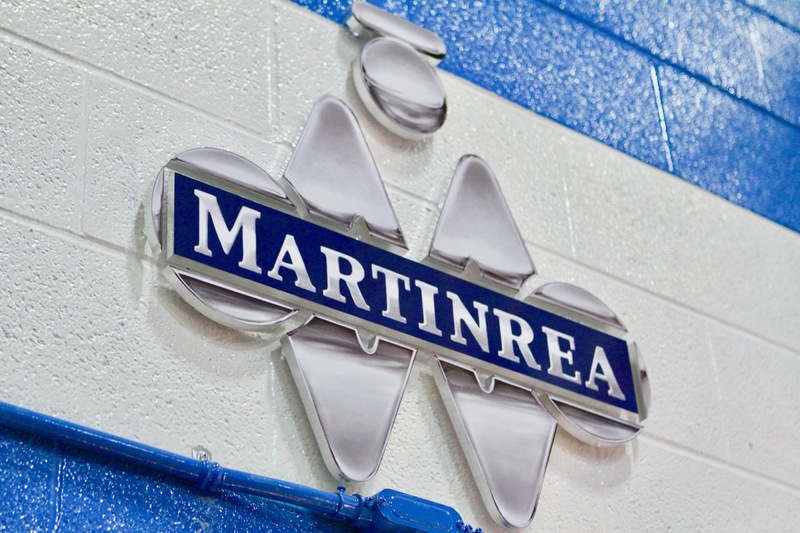 The Martinrea sign was custom laser cut with 3D chrome metal details and finished silver edges. It was installed raised off the factory’s cinderblock wall on custom spacer mounts. 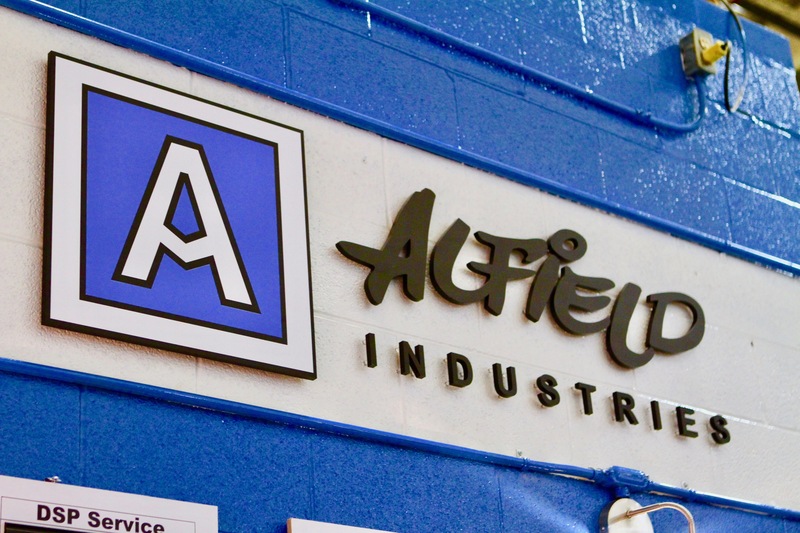 The Alfield Industries sign was mounted on a wall opposite the Martinrea sign. It was made with a glossy black acrylic finish for the letters and custom film decals for the logo. Ready to spruce up your warehouse or employee entrance with a custom sign? Would your warehouse, factory, or plant benefit from showing off your company logo? We are more than happy to guide you through the process of having your custom sign made. Send us a quick quote request with your logo and a very short description of your sign so that we can answer any questions you might have in getting your own sign made quickly and easily. It's Easy! Click below to get in touch and learn more. Quote is Free. No Obligation. ArtSigns makes premium quality business signs, office lobby signs, 3D logos and lettering as well as exterior business signage for companies worldwide. Our manufacturing processes and installation methods are totally unique so that your business can stand out above the crowd.